Heat 4-quart saucepan over medium heat; add oil, then add squash, onion and chili. Cook about 3 minutes or until onions are softened. 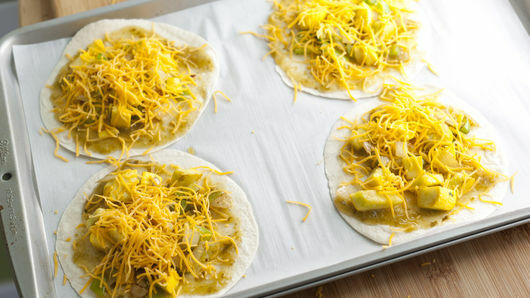 Place tortillas on ungreased large cookie sheet; spread with salsa verde, then spoon on cooked vegetables. Top with cheese. Bake 5 to 7 minutes or until hot and crispy around edges. Add diced or shredded cooked chicken to the pan when cooking the vegetables for some protein. 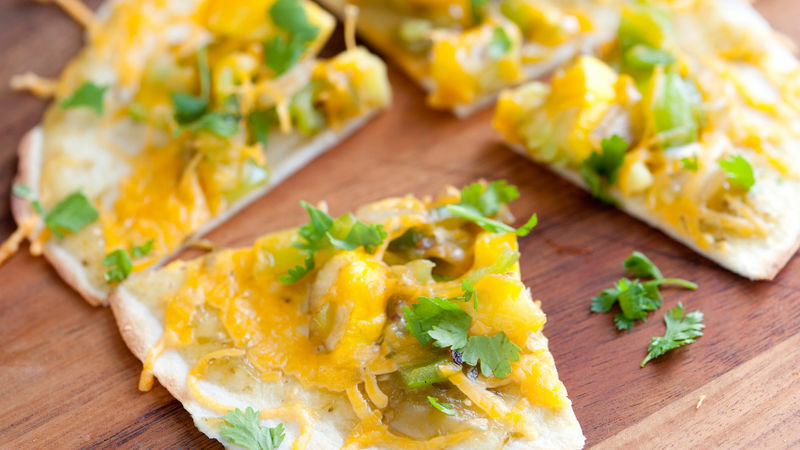 Make a few extra batches, and cut into fourths for serving a crowd.